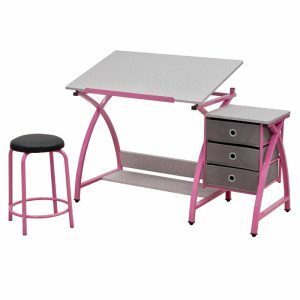 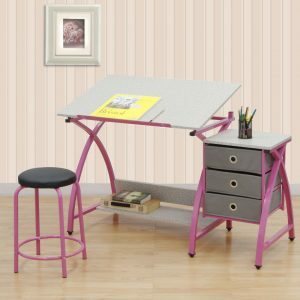 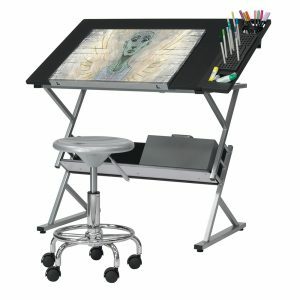 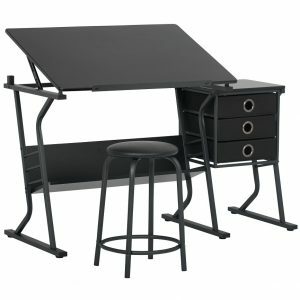 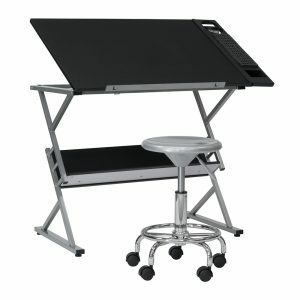 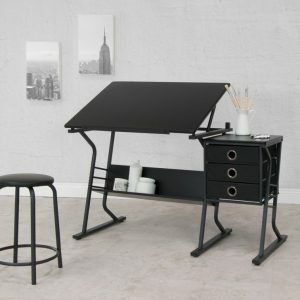 The Prime 3-piece Bundle includes a tilting, adjustable top drawing table, a metal art tray organizer and stool. 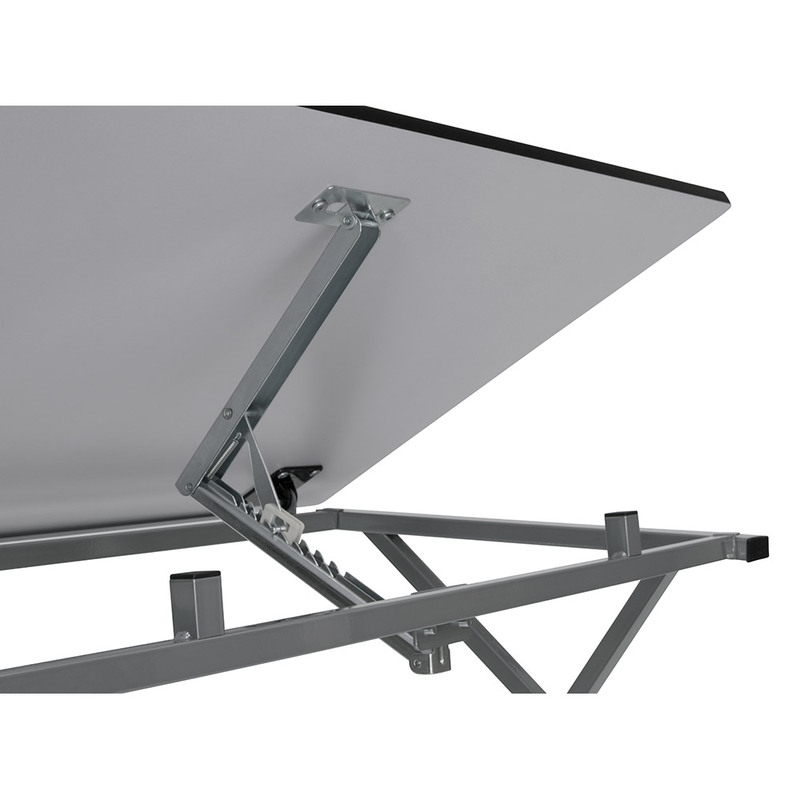 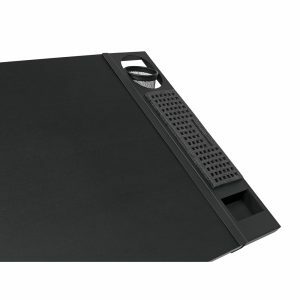 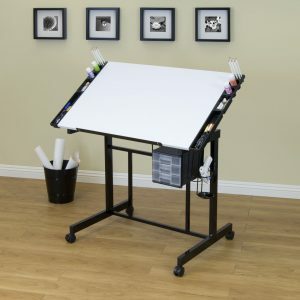 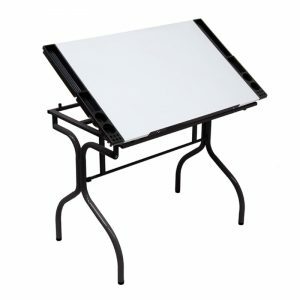 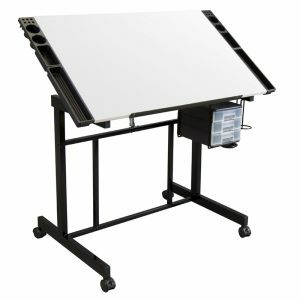 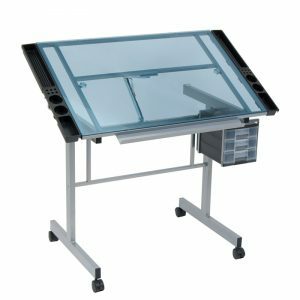 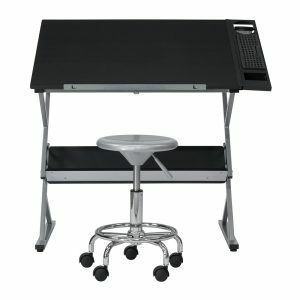 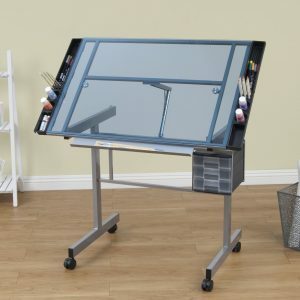 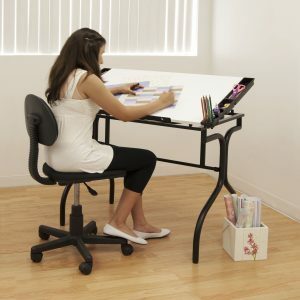 The Prime drawing table has a 35.5 x 23.5” top that can be angled up to 45 degrees. A 31.75” W x 4.25” D bottom shelf provides extra storage for larger supplies. The Studio Stool adjusts in height from 17.75” – 23.5”. 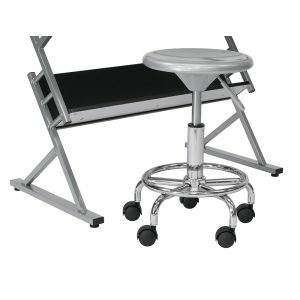 It has a durable chrome gas lift and foot ring with 5 nylon casters. The 24-inch Premier Metal Art Tray has a removable foam pencil organizer and a swivel mesh cup for brushes and larger supplies.